A truly medieval design, the Belfry collection of wall, ceiling and table fittings, offers hand-crafted metalwork at it’s very best. 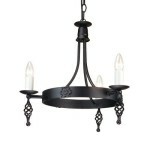 All ceiling and wall fittings now accept glass and the chandeliers are easily converted from chain to semi-flush. Available in Black finish only as standard. This Belfry is also available in a 3 light. Categories: Craft Lighting, Elstead Lighting, Medieval. Tags: craft lighting, e, elstead, medieval. 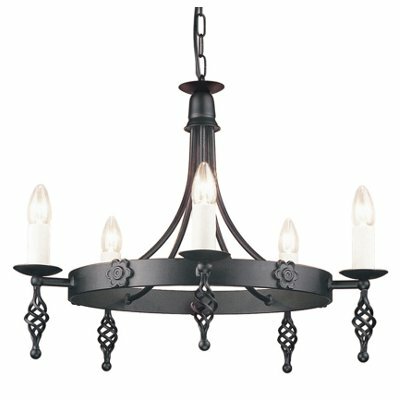 Be the first to review “Belfry 5 Light (Elstead)” Click here to cancel reply.